Low-profile foam mouse pad works well with an optical or standard mouse. 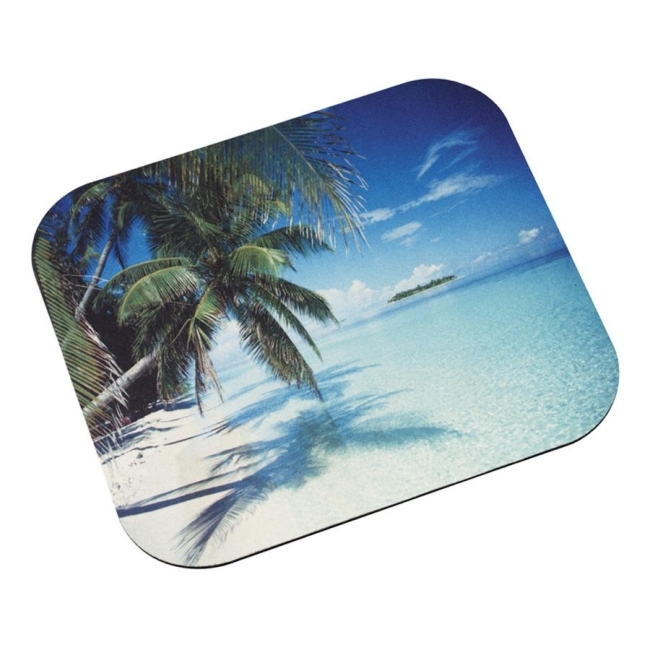 Surface image features a tropical beach design. Nonskid backing keeps the pad in place.